New CD Available August, 2018 ! 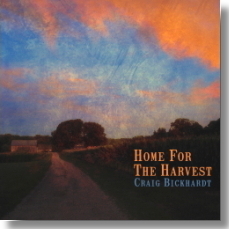 "With his latest release, HOME FOR THE HARVEST, Craig Bickhardt demonstrates that folk music needn't be musically dull or iterative. Always in search of forms that challenge not only his songwriting abilities but also his considerable guitar chops and vocal skills, Bickhardt's accessible style is nearly unparalleled in the genre today. There are singers and there are pickers and there are song poets, but very few do all three as well as this." New Limited Edition Live CD Available Jan 11, 2017 ! Craig has been concentrating his studio efforts around the Idlewheel duo lately. The duo, consisting of Bickhardt and long-time collaborator Jack Sundrud has been touring in 2015 and plans to do more performing together in 2016. 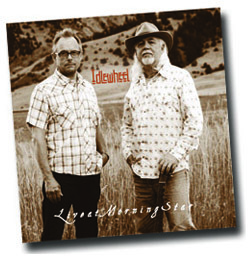 Recorded live before an intimate audience in the studio and mixed by two-time Grammy winning engineer Glenn Barratt, Idlewheel's "Live at Morningstar" captures the spirit and power of their stage performance with all the clarity and nuance of state-of-the-art technology. Craig and Jack are joined here by Philly session drummer, Tommy Geddes for a memorable set of Idlewheel "hits" and a few new gems. You can preview a couple of tracks and purchase a copy of the disk from the Idlewheel Website. Craig Bickhardt and Jack Sundrud have released a new CD together as Idlewheel. 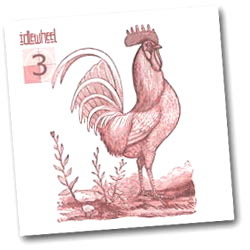 This is the duo's third record and is appropriately titled "Idlewheel 3". The disk brings you 6 new tracks from one of Americana's enduring songwriting partnerships. With sweet harmonies, soulful songs and full band production, this collection builds on Idlewheel's solid tradition of craftsmanship and artistry. 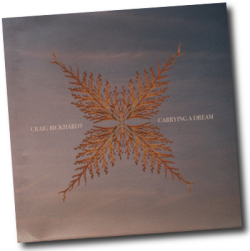 You can listen to a couple of song clips or pick up a copy of the CD from the Idlewheel Website. The boys have also released a new full-length video of one track called "Love is Where You Are". Watch it on You Tube here. Thanks to all who came out to support the "Idlewheels Across America Tour" this past August. Jack Sundrud (l.) and Craig Bickhardt (r.) made stops in Oshkosh WI, Oklee MN, Fargo ND, Cody WY, Bozeman MT, Boise ID, Worley ID and Sandpoint ID where their audiences were treated to 2 hour+ shows featuring the duo's trademark harmonies, soulful songs and witty banter. Stay tuned for more info about future Idlewheel shows or visit the Idlewheel website. American Songwriter Magazine recently published an advance chapter from Craig's as-yet unpublished book on the creative process. The piece, titled "The Song Emerging", appears on ASM's Guest Blog page HERE. Michael Rogogna of the Huffington Post recently interviewed Craig in depth about the new CD, his days in Nashville and his plans for the future. Read the interview (note: Craig is the fourth "conversation" so you must scroll down to the picture of the new CD- the interview begins just below that.) HERE. Poll Star Magazine's Jay Smith recently sat down with Craig for an in depth interview about songwriting. The interview (interspersed with some You Tube vidoes from live shows) can be read HERE. 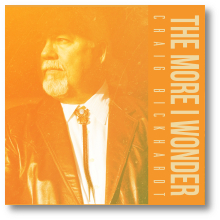 Craig's long awaited new CD "The More I Wonder" is available NOW directly from the artist here on the website. The record contains 12 new tracks described as "12 Scenes From Life, Love and Family". It comes with a 20 page Lyric and Photo booklet. The official release isn't until May 6 but your order will be shipped right away so don't wait, get your copy today! "We're over 64% of the way to our goal in the Pledge Music crowd funding campaign with less than three weeks to go! Thanks for your help with this project. I've been featured on the Pledge Music website's Charity Spotlight page. Please check out the interview HERE and let your friends know what we're doing together: Making music and making a difference!" Craig's long awaited new CD will be released in early April and will contain 12 new tracks. He is currently raising funds to complete and promote the record via the crowd funding website Pledge Music.com. You can Pre-Order the CD at the Pledge Music page here. If you'd like to pledge more to the campaign, contributions are gladly accepted. Each pledge above and beyond the CD purchase generates more exclusive merchandise such as a Limited Edition "Bare Bones" mix CD that includes 3 songs that won't be available on the regular CD. In addition, each pledge generates a special "Give Back" aimed at humanitarian and environmental causes. Craig says, "I realized that if I were going to try to raise money for this CD, there just might be a way to make it matter above and beyond the music. What I came up with is this PledgeMusic campaign in which you agree to pledge an amount of money to me and I pledge to do something to make a small difference in the world." The Give Backs include performing an act of kindness to a stranger; doing some volunteer work for a charity; a show of solidarity for a prisoner of conscience; an act of compassion for a sick and suffering child, a renewal of the wilderness or the clean-up of a neighborhood. You can read more about the campaign here.